Glass executive furniture from the XT range. Manufactured in Italy to a high quality. 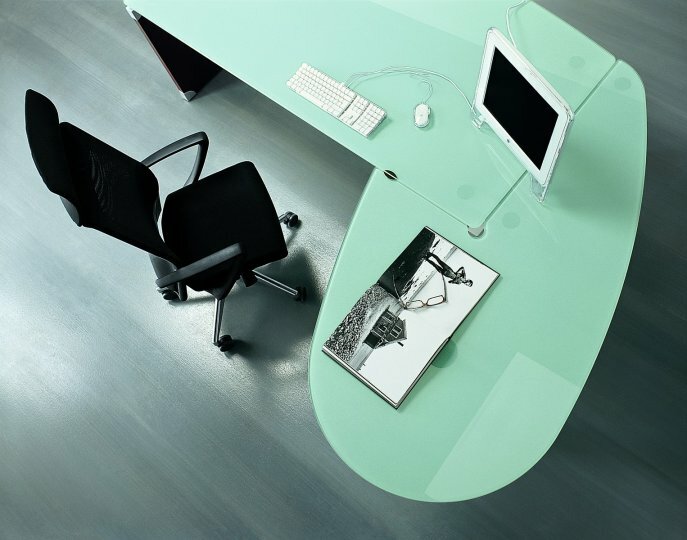 12mm thick Frosted glass tops and 38mm thick panel sides in a choice of four executive finishes. Includes integral modesty panel 18mm thick. Side and modesty panels are constructed from scratch resistant MFC with 2mm thick ABS protection. Decorative corner caps are in silver ABS. 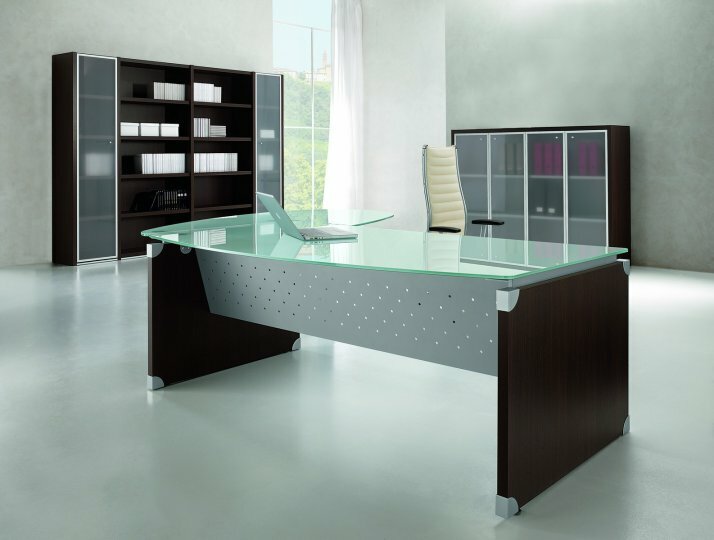 Available from stock this executive glass office furniture can be delivered direct from the factory for self assembly or via our nationwide office furniture installation service. This is a quality range with a three year factory warranty.